Wanna watch the F1 LIVE in Edinburgh? You’ve come to the right place. 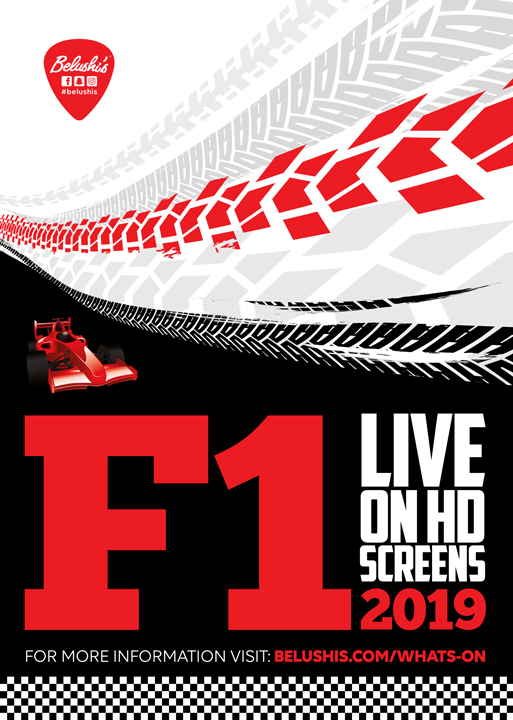 Join us at Belushi’s Bar to watch the 2019 F1 season live on our giant HD screens and projectors! Expect kickass burgers and huge American-style bar snacks while you watch, and cheer on your favourite with one of our international beers to get the atmosphere racing! F1 fans, if you’re here in Edinburgh, you don’t wanna miss it.